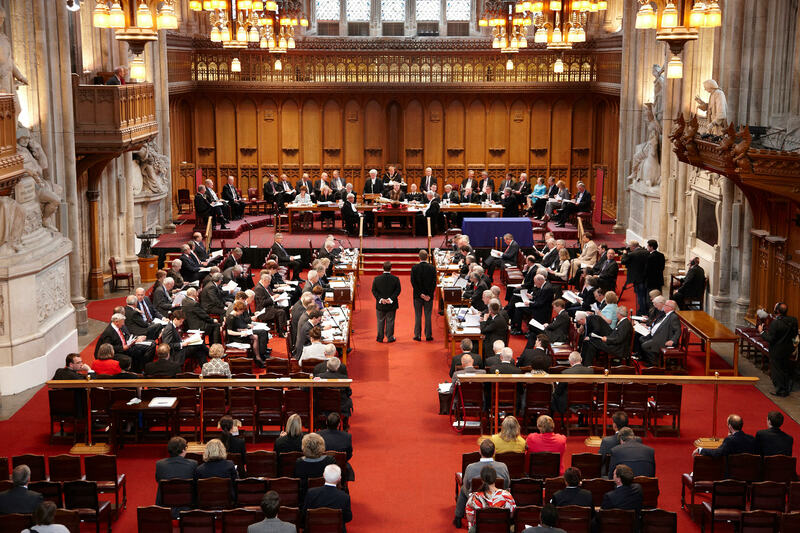 The City of London Corporation provides local government services to the City of London. The City occupies one square mile and has fewer than 10,000 residents. However, it is home to many of the world’s leading financial institutions. Over 400,000 people travel into the City to work. The Corporation has many responsibilities over and above those of a typical local authority. It runs a major art gallery, the Barbican Centre, three wholesale food markets, Hampstead Heath and other open spaces and the Old Bailey. The City also has a major role in representing the UK’s finance and professional services industry. The City is divided into 25 wards, each with an Alderman and a number of common councilmen, depending on the size of the electorate. There are three councilmen in Cordwainer. Currently there is one vacancy following the resignation of Sir Mark Boleat on 13 March 2019. Sir Roger Gifford was the Lord Mayor of the City of London from November 2012 until November 2013. He is a member of the Culture, Heritage and Libraries and Epping Forest and Commons Committees. He is the country head for the Swedish Bank SEB. Sir Michael Snyder is the former Senior Partner of the accountancy firm, Kingston Smith LLP. He was Chairman of the Policy and Resources Committee for five years to April 2008 and remains a member of this Committee, chairing the Major Projects Sub-Committee, and of the Finance Committee. 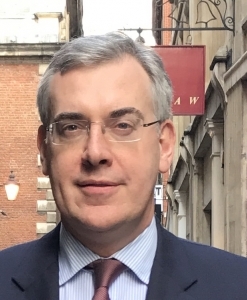 He is involved in SME finance and chairs London Business Loans (Wholesale) Ltd.
Alex Barr is a Senior Investment Manager with Aberdeen Asset Management. He is a member of the Investment, City of London School and the Port Health Committees. People entitled to vote in elections for the City of London are residents, sole traders, equity partners in partnerships and electors appointed by businesses. Businesses are entitled to appoint one elector for each five workers up to 50 and one for every fifty workers subsequently. The electoral registration date is 1 September in each year, and the final Ward Lists are published each February. Full details of the franchise are available on the City of London website. While the Ward is predominantly a business area, there are 11 resident electors. Most electors are nominated by the businesses for which they work. The largest businesses in terms of electors are Aberdeen Standard Investments (26 electors), T Rowe Price (17 electors), Euroclear (15 electors), ICF International (13 electors), Ghana International Bank (11 electors), Indigo Planning (8 electors) and Knox Cropper (6 electors). Aldermen are elected for terms of six years and common councilmen for four years. The most recent election for common councilmen was on 23 March 2017. The three serving common councilmen were re-elected unopposed. Sir Mark Boleat resigned on 13 March 2019; a by-election will be held shortly. The new member and the two remaining common councilmen will serve until the next election in March 2021. The Alderman was elected for a third term in October 2016. Full details of the Committees on which they serve are on the City of London website. The City has implemented neighbourhood policing through a programme known as Safer City Wards. Cordwainer is in the southern cluster of wards in the City. The ward policing team can be contacted on 020 7601 2222, E-mail: community@cityoflondon.police.uk. The Ward policing scheme is described in more detail on the City of London Police website. Much of the work of the City of London Corporation has an importance well beyond the City and even the local authority issues are different from those facing other local authorities, given the unique nature of the City as the World’s leading financial centre. Much of the work of the Ward’s elected representatives reflects this. 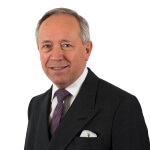 Sir Mark Boleat is Past Chairman of the Policy and Resources Committee, the political leader of the City, working to promote the City of London nationally and internationally as well as providing first class local authority services. Sir Michael Snyder held this position from 2003 to 2008. Sir Roger Gifford and George Gillon were the two Sheriffs of London for the year from September 2008, supporting the Lord Mayor in his work. Sir Roger Gifford took office in November 2012 as Lord Mayor and served to November 2013. However, the elected representatives also promote the interests of the Ward, particularly in respect of development, streetscene, transport and policing. They do this both through sitting on relevant committees and dealing directly with issues as they arise. Over the past ten years the Ward has been centre of substantial development. The striking No 1 Poultry was the first major development. Two of the less attractive buildings – Bow Bells House and the Temple Court/Bucklesbury House complex – have been demolished. The new Bow Bells House is now complete and fully occupied. The Temple Court/Bucklesbury House site has been been transformed by Bloombergs for its new European headquarters. To the North of the Ward almost the whole of Cheapside has been redeveloped into modern office accommodation with retail at the ground level. To the West is the major One New Change development. These developments are all part of the City of London’s strategy to provide high quality, well designed office space that is needed by major financial institutions, all within an overall development plan. This is not an area where high rise developments are permitted, because of the effect on St Paul’s Cathedral. Indeed, the new developments significantly enhance the view of St Paul’s. Rather. All development is disruptive to some extent, but through planning requirements the City does everything it can to ensure that disruption is minimised. The Ward has benefited from the extensive streetscene programme run by the City of London Corporation. The programme is funded from a variety of sources including section 106 planning agreements, the surplus from off-street parking and voluntary contributions from businesses. The latter have been particularly significant, reflecting the wish of businesses to be located in areas that are attractive, and also to make a contribution to community facilities. Over the past ten years Watling Street, Bow Lane and Pancras Lane have all been substantially enhanced. The carriageway is now granite setts and Portland stone, and planters and new lighting have also been installed. Bow Lane and Watling Street are now pedestrianised and are attractive routes to work for many City workers. Bow Churchyard has been considerably enhanced with new paving and trees. Bank Junction is now largely a traffic-free area, which has greatly enhanced its appearance and ease of use for pedestrians. The whole of Cheapside has been remodelled with a smaller carriageway, much wider footways, trees and high quality paving. The City has traditionally been a retail desert. This is changing as a result of the City of London’s strategy to encourage retailing, particularly on the ground floor of office blocks, something which also enhances the streetscene. Cheapside has become a major retail centre, and now has nearly as much retail space as the new White City development. One area of concern is the constant digging up of the roadways, including the pedestrianised areas, by the utilities, and reinstatement often taking an inordinately long time. The utilities have the right to dig up roads as they wish and the City of London Corporation, like other councils, has very limited powers to control this. The City has always been a 24 hour City for the financial services industry, but more recently it has become a 24 hour city for leisure as well. While this is welcome to some extent it has led to some anti-social behaviour in the early hours of Saturday and Sunday mornings and is putting a strain on police resources. A strategy has been implemented to contain the problem. City businesses rightly seek improvements in the quality of public transport in London. The City of London is not a direct transport provider but is able to exert influence over Transport for London and other transport providers and does not hesitate to do so. Bank Station is seriously overcrowded. The planning conditions for the Walbrook Square development include a new entrance to the station which should help ease congestion. Work is also beginning to build a new platform for the Northern Line and an exit on Cannon Street. Ward Newsletters are published two or three times a year by the City of London Corporation. The centre page spread contains information relevant to the whole of the City while the front and back pages are for issues specific to the Ward.